The list isn’t necessarily very surprising, with a range of cars that fit a spectrum of comparable features, practicality and price to the Model 3. 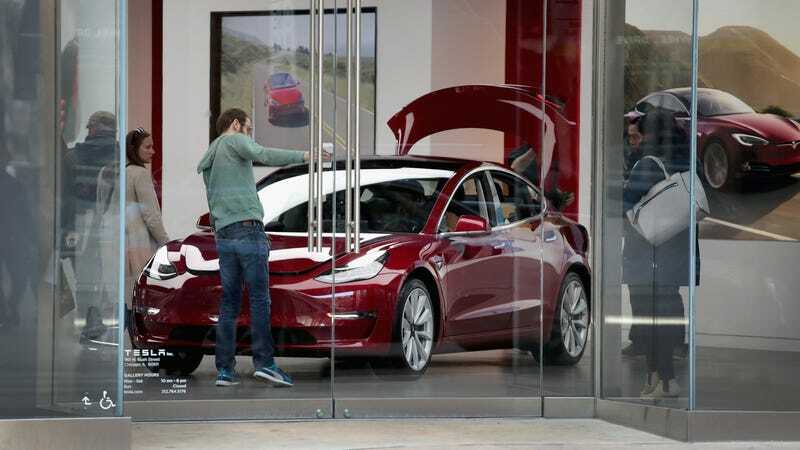 It’s important to note that the $35,000 Model 3 trim is still not available, and Tesla noted that this list doesn’t include people that trade older Teslas for a new one. It also wasn’t clear if these were listed in a specific ranking or order, but here they are; the cars people most trade for a Tesla Model 3 are the Toyota Prius, BMW 3 Series, Honda Accord, Honda Civic and Nissan Leaf. The Prius and Leaf are interesting, because they’re electrified vehicles that either lack being full EV, or lack anywhere near the range capability and qualities of the Tesla. It’s a shame, the Prius was just getting cool. The Hondas are interesting, especially the Civic. Perhaps buyers looking to upgrade from the Civic are turning to the Model 3, as there is a fairly notable price increase between it and a Civic. And then the 3 Series is just funny if you think about BMW’s anti-Tesla advertisements a couple of years ago. Did you order a Model 3? If so, what car are you replacing? I’m more interested in knowing how many Model 3 owners are first-time electrified vehicle shoppers, and how many deposit holders chose the Model 3 as their first new car.